First grade equations are easy to solve in Math Combat Challenge. 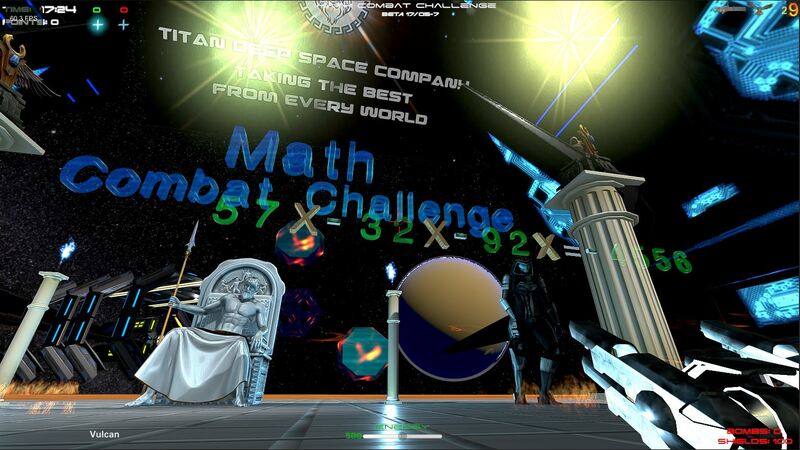 You only need to survive while you calculate the data, and find the numbers to complete the equation across the arena. Quadratic equation will be available too, and you´ll be able to mix operations as you like in the config panel, as explained here.